13. Read Philippians 2:3-11. What is one way that you could humble yourself today in a tangible way? 14. Make a list of ways that your church is reaching out to its community? Are there areas in the community that are not being reached? This simple statement, delivered with great fervor, drew forth an amazing current of sacrificial giving from people. This is built into our hearts. We know it’s right. And as Christians we’re the ones who really know what it means and how it can be done. Don’t strive to advance yourself. Let God advance you. This is a deep psychological and sociological truth as well as a profound theological teaching. If you try to save your life, you’ll lose it. Give it away. God will give it back to you. Don’t make it your aim to get what you want. Serve others. Remember, God gives grace to the humble. He calls us to submit ourselves to the mighty hand of God that, when the time is right, He will lift us up. Jesus knew that the Father had given everything into His hands, that He had come from God, and that He was going back to God. So He got up from supper, laid aside His robe, took a towel, and tied it around Himself. 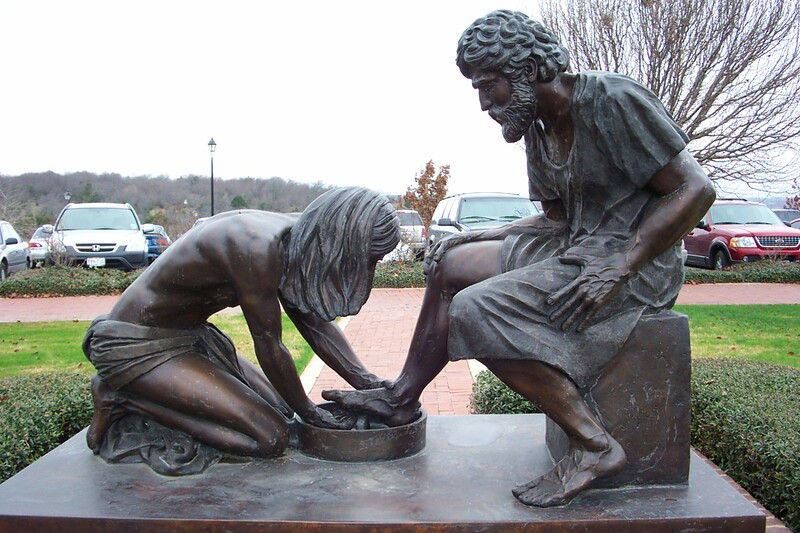 Next, He poured water into a basin and began to wash His disciples’ feet and to dry them with the towel tied around Him (Jn 13:3-5). Because Jesus knew who He was, because He was secure in His relationship with His Father, He was able to do the work of the most menial slave. Remember who you are. Keep God before you. Then serve sacrificially. When you serve others, you’re really serving God. Because you are serving God, you give the best of service to other human beings. This is week six of 23 Things. See previous posts here and here for the first nine things and an introduction to 23 Things. If you want to be eligible to win a free book, post a comment under each week’s session. Those who complete all 23 Things will be placed in a drawing for a free book. This entry was posted in 23 Things, service and tagged 23 Things, Dallas Willard, service by Scott Jeffries. Bookmark the permalink. Just having come back from the mission trip really has this in the forefront of my mind. Being humble and serving others is really hard in our selfish, look at me, society. Seeing the orphanage and all that Pastor Chanda has done, is really eye opening in what putting others first really means. Some of my favorite Christian examples are people such as Pastor Chanda who just quietly and humbly serve. They do it for God’s glory and not their own.